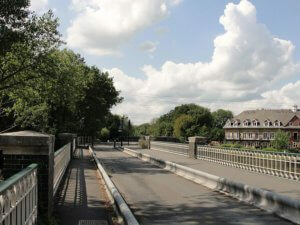 Weybridge | Curchod & Co.
Are you searching for commercial property in Weybridge? At CURCHOD & CO, our highly-driven team of chartered surveyors and commercial agents will help to guide you throughout the whole process. With one of the industry’s leading commercial property, lettings and sales teams on your side, you can rest assured that everything will be taken care of from initial engagement to post completion. So, whether you are looking to buy or rent commercial property in Weybridge, why not start by searching our extensive database to help you find the ideal office space, industrial unit, retail or leisure premises. Our site enables you to shortlist some of your favourites, tailor your search to meet your specific requirements right from tenure through to property size. Moreover, you can also view our extensive range of properties, whilst reviewing individual energy performance ratings and annual business rates, making your search for the one that little bit easier and much less stressful. Curchod & Co will deliver exceptional cost-efficient solutions, in the perfect location for you! Why should I choose CURCHOD & CO in Weybridge? Our user-friendly commercial property website takes the stress out of finding your ideal premises. 80 years in the industry and our recent merger with Wadham and Isherwood not only makes us experts, but it also ensures that we are able to deliver a diverse service. Weybridge offers a strategic location and flexible terms for good quality offices making it the ideal place for start-ups and new ventures to launch themselves. We are committed to providing an unrivalled service that is tailored specifically to you.